Setting our sights to the Great White North, we take a look at the 20 Canadian retailers every Highsnobiety reader should know. Following up on our investigation into the best Canadian brands, it only seems fitting to flip the script. 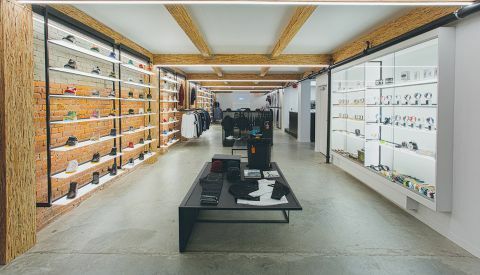 Canada’s retail landscape is a key counterpoint to the flourishing variety of streetwear and menswear labels, and from coast-to-coast there are a number of top-tier boutiques and shops to make note of. 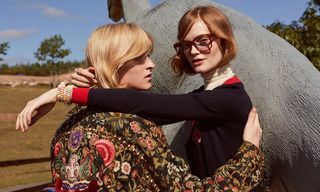 Old heads like Livestock and the now-defunct Goodfoot set the tone for a new wave of retailers to fill the gaps; burgeoning e-commerce, international brand lists and compelling retail concepts are categories that are well represented across the board. 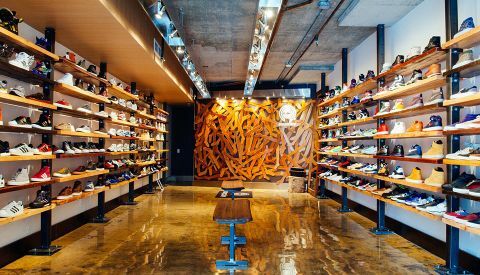 With Vancouver, Toronto and Montreal being the chief hubs, we take a look at the names in retail that every Highsnobiety reader should know. Founded by Vancouver heads Gary and Chris Bone, as well as Garret “GMAN” Louie, Livestock is one of the longest standing players in Canada. While a former Calgary location has been shut, Livestock currently operates three doors in Vancouver, supplemented by another in Toronto. Recently, Livestock launched an in-house line titled illustrated example, with highlights including Canadian-made technical sweats and collaborations alongside Ebbets Field Flannels and others. Check out Livestock’s Vancouver location, located in historic Chinatown. 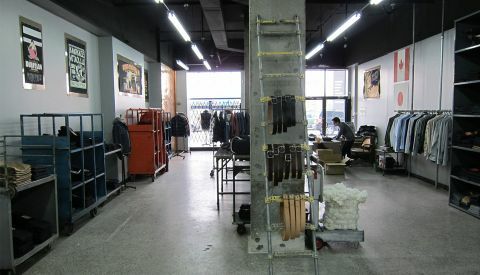 Montreal’s leading streetwear retailer Off The Hook first opened its doors in November of 1999. Since its inception its mission has been to showcase and celebrate the downtown culture from which it was born. Off The Hook continually collaborates with leading creative minds in the fields of photography, music, sports and fashion from within Montreal as well as from other urban centers around the world. Off The Hook recently tapped adidas to cook up a special make-up of the Tubular Moc Runner. 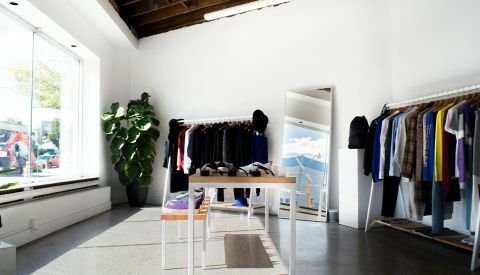 Initially occupying a hole-in-the-wall space in Vancouver’s Gastown district, purveying brands ranging from COMME des GARÇONS to Fjällräven, Roden Gray’s retail concept has grown in leaps and bounds over the years. In 2015, Roden Gray proffers some of the most covetable labels to Vancouver’s discerning shoppers, including Buscemi, Thom Browne and Givenchy. Owner Rob Lo also kickstarted his own made-in-Japan sock brand named Mr. Gray. Over the years, the Chmielewski brothers Arthur and Daniel have build HAVEN into an impressive retail presence within Canada. Not only is HAVEN the go-to resource for rare and imported Asian labels, but the retailer has also developed a serious amount of clout abroad. Haven’s brand list includes hard-to-find Japanese labels like Hender Scheme, TAKAHIROMIYASHITA The Soloist, Wacko Maria, C.E. 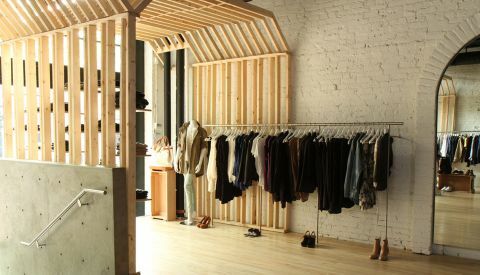 and others, while Arthur and Daniel have also developed a solid rapport with visvim through the organization of seasonal visvim trunk shows at HAVEN’s Vancouver location. One of Toronto’s most esteemed purveyors of designer labels, Nomad made news in 2013 for two separate collaborations alongside irreverent, post-internet label Been Trill. 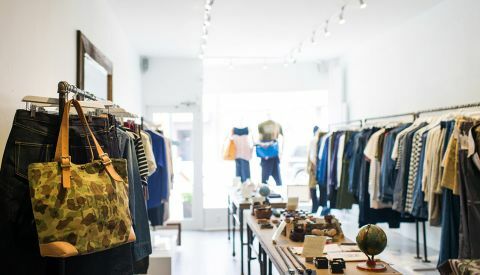 This veteran retailer has taken residence in its current West Queen West space since 2010, remaining a one-stop-shop for labels that you would be hard-pressed to find anywhere else in Toronto. Saager Dilawri quietly opened Neighbour midway through 2011, when a lively reception of family and friends crowded the Vancouver-based store. 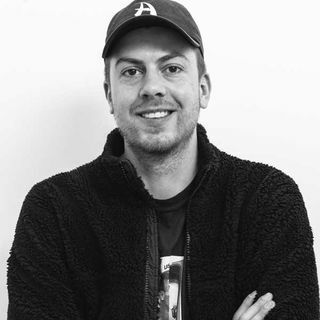 Since then, Dilawri and Neighbour – spelled à propos with a “u” as is conventional in Canada – have only experienced smooth sailing, thanks to a meticulously curated brand list of Scandinavian imprints mixed with smaller up-and-coming labels. 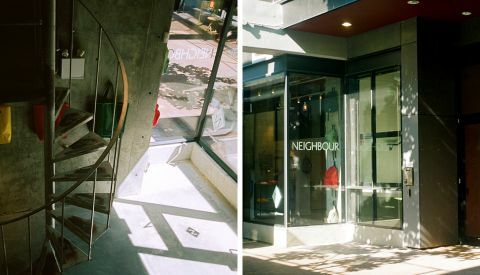 Neighbour has become a pillar of the notoriously hip Gastown area, and initial successes have led to the opening of the womenswear-oriented Neighbour Women, only a stones throw away. Walk into the Toronto or Vancouver locations of foremost denim authority dutil. and the floor-to-ceiling denim displays can almost be overwhelming. 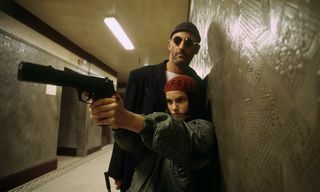 Between the expertly knowledgeable sales associates and the hugely impressive brand list, dutil. cuts no corners on being the go-to destination for jeans, while the shop also offers an in-house line produced at the infamous Cone Mills facilities in North Carolina. 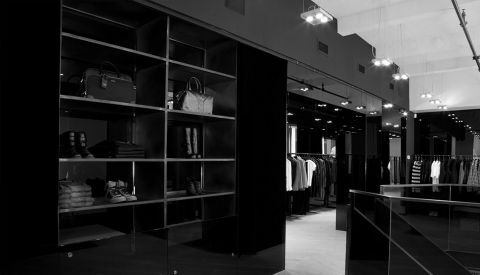 After years of running a highly successful e-commerce platform, Montreal’s SSENSE branched out into the world of brick & mortar in 2010. 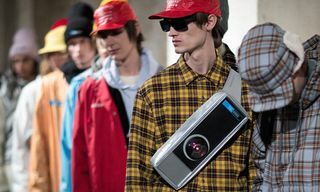 A catalog of the best high fashion labels and compelling original web content have dually worked in SSENSE’s favor, as the retailer seems to effortlessly remain near to the top of the e-commerce pyramid. 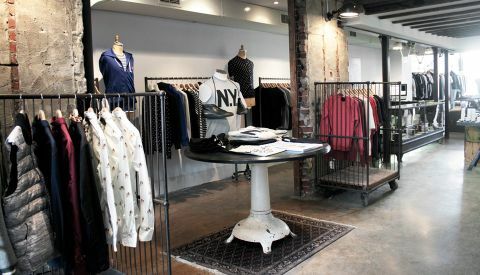 SSENSE’s physical retail space also houses an online shopping station where customers can access the full range of over 100 labels from SSENSE.com. The physical manifestation of Drake’s OVO clique opened only this year on Dundas Street in Toronto. 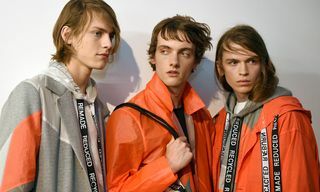 Since then, two ready-to-wear collections have been offered up, comprised by made-in-Canada goods, as well as accessories like caps, lighters and lanyards. Fiending after that “TOPSZN” beanie that you’ve seen in so many Drake music videos? Better make your way to the 6 to cop. Make sure to check out OVO’s Spring 2015 offerings. Owned by well-known denim savant Brandon Svarc of Naked & Famous, Tate + Yoko refers to the Japanese words for “straight” and “horizontal,” subtly alluding to the warp and weft threads from which denim is traditionally made. 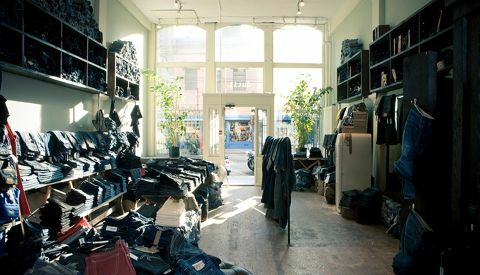 Located in the Notre-Dame-de-Grâce neighborhood, the boutique offers Montreal shoppers the chance to shop for cult denim brands like The Flat Head, Big John and others. Toronto’s Blue Button Shop is the spot that you and your grandma could both shop at. The casual, wearable goods that fill the racks are deceiving in the sense that you might pick up an ordinary looking pair of knitted socks, which are in fact crafted from artisanal caliber cashmere and hand-dyed by Buddhist monks. Blue Button Shop remains low-key, despite having a brand list that is quietly flexing on the competition. 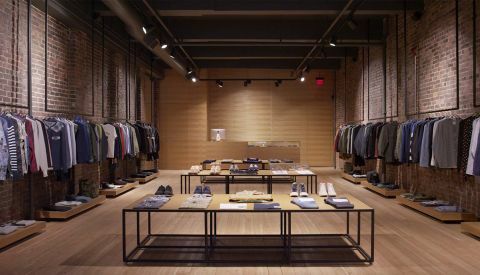 The flagship space for Montreal-based accessory brand WANT Les Essentiels de la Vie is levelled at distilling the retail experience of a bygone era into a modern boutique. 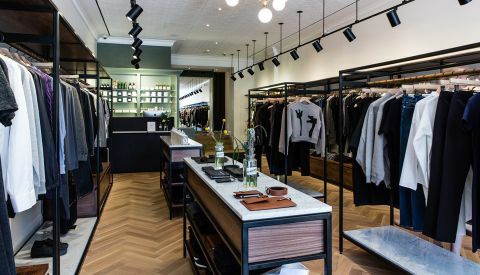 Ornamented with warm, old-world details including Bianco Carrara marble and brushed copper, the space stocks a strong assortment of designer imprints including Acne, Filippa K, Nudie Jeans, Arc’teryx Veilance, Maison Kitsuné and, naturally WANT Les Essentiels de la Vie. 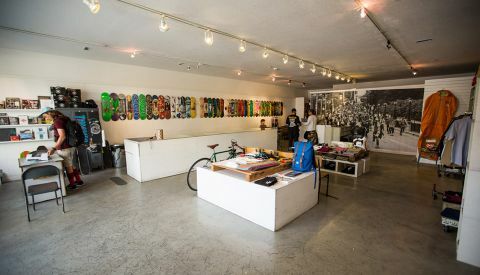 Neighbor to Toronto’s chapter of Livestock, Adrift has been an integral part of the city’s skateboarding and streetwear communities for years. Holding down the same location on Spadina Street since its doors first opened, Adrift recently got a facelift in the form of a full interior renovation, complete with brand spanking new installations to house the shop’s board wall, sneaker selection and ready-to-wear gear. Co-owned by four of Toronto’s movers and shakers, Working Title Shop is a hybrid entity, falling somewhere between a clothing retailer, art gallery and bookstore, while plans have even been sketched to publish in-house reading material in the future. The shop is teeming with the best contemporary labels one could hope for, including Engineered Garments, Margaret Howell and Patrick Ervell. Uncle Otis really is like the knowledgable uncle of Toronto’s retail community. 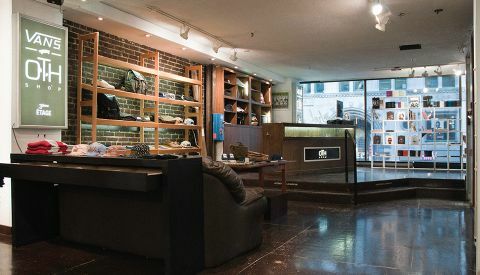 The shop opened around 23 years ago as a forum for Canadian brands, and today the shop still maintains a strict policy to sell 20-25% Canadian brands at all times. More discerning labels like Liberty London and United Stock Dry Goods are mixed with first-mover brands like adidas Originals and maharishi. 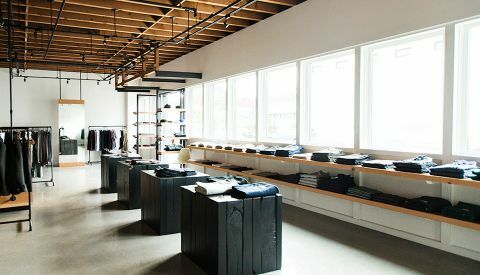 Sibling brands wings+horns and Reigning Champ are two of the principal exports leaving Canada. The militaristic Japanese aesthetic that wings+horns has gained consistent acclaim for was given a home in 2013, characterized by a selection of raw wood, concrete, and black hardware. 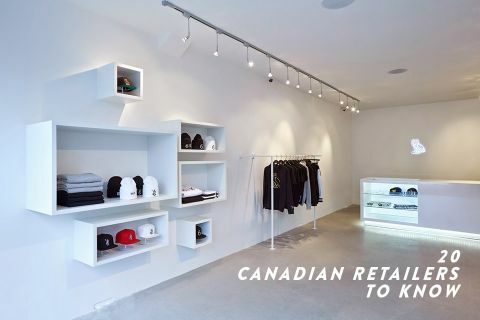 Although Reigning Champ is also available through the brick and mortar location, rumor has it that RC will be given its own Vancouver-based flagship location in 2015. Ewing, Diadora, Filling Pieces and Saucony are several of the accounts filling the racks at Toronto’s Capsule. 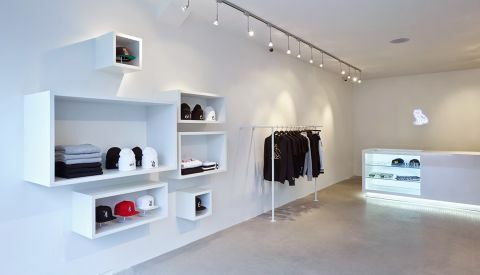 Toronto sneakerheads would agree that Capsule is a driving force in the city, and while the shop’s offerings are absolutely sneaker-centric, a fair selection of clothing brands also add appeal. Complementing the sneakers and apparel, shoppers can find apothecary goods like Kuumba incense as well as Japanese publications including Shoemaster. 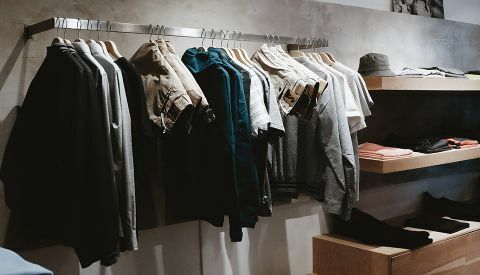 Located on Vancouver Island in the quaint city of Victoria, Four Horsemen is extending a powerful assortment of menswear brands into the rather small community in which it is located. On top of some hardwearing collaborations with their neighbors at Viberg Boots, the shop also produces an in-house line aptly named Four Horsemen Supplies, which concentrates on well-made basics, all made in Canada. 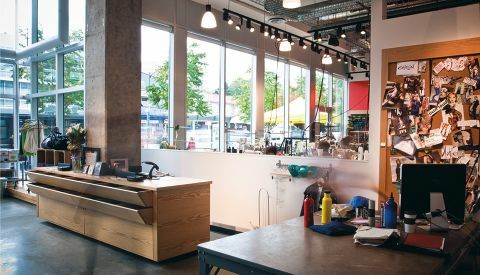 Touted as an incubator for innovation, Lululemon’s Lab space is a conceptual design and retail space on one of Vancouver’s main drags. After the yoga brand skyrocketed to global popularity, the Lab concept was initiated in the brand’s home town to offer a departure from the standard experience offered by Lulu flagship stores. Recently, Lululemon Lab worked alongside local nighttime accessory purveyor Nocturnal Workshop on a small capsule collection. Anti-Social is a beacon in Vancouver’s skateboarding community. 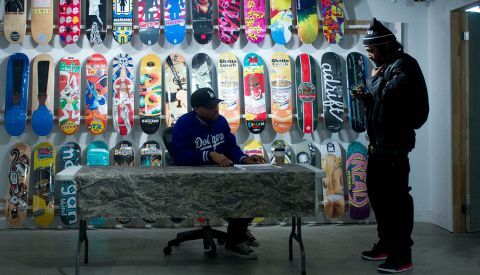 Bobby Hundreds himself named Anti-Social amongst his favorite skate shops from around the world, but aside from celebrity co-signs, Anti-Social remains delicately balanced between the innate cool factors of skateboarding and accessibility. 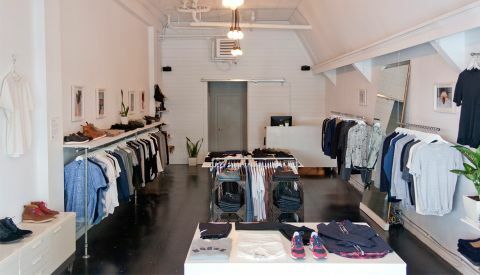 The store opened in Vancouver’s Mount Pleasant community around 13 years ago, an area which has since developed a reputation for trendy boutiques. Anti-Social is a touchpoint for local creatives, artists, musicians, and more. 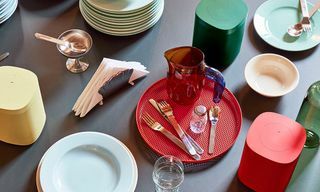 Once you’ve processed the above, make sure to check out our roundups of the 20 best Canadian brands, 10 best Russian brands, 20 best Swedish brands, 20 best Danish brands and 20 best Australian & New Zealand brands.